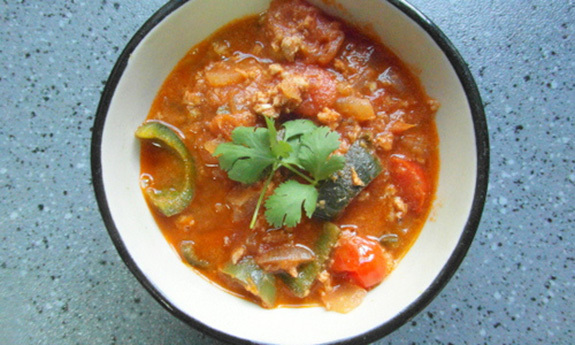 What’s interesting about this turkey chili is that the biggest emphasis is on the veggies, not the turkey. The use of fennel and shiitake mushrooms makes this a chili that you probably unlike anything you’ve tasted before. If you’re not used to eating fennel and shiitake mushrooms, it will definitely be a new taste sensation, and it represents the way Paleo should be, branching out into new tastes rather than limiting what you can have. There’s a whole world of fruits and vegetables to explore, and plenty of room for them when you get rid of grains and dairy. 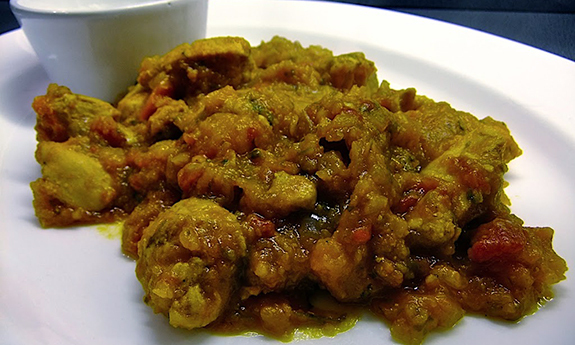 Cilantro gets a big nod in this chili, and it’s one herb that goes really well with turkey. When you use turkey instead of beef in your chili you have to take into consideration which ingredients go best with it. 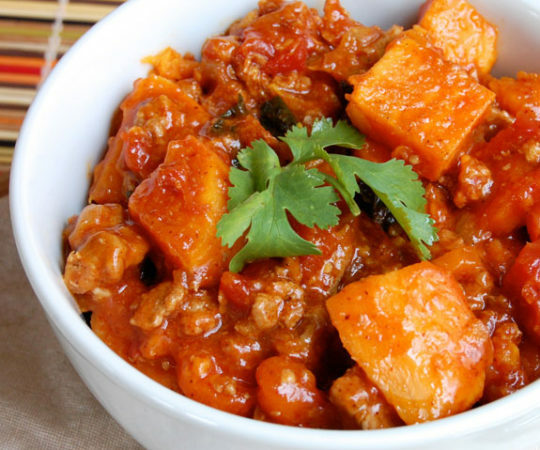 You can plug turkey into your normal beef chili recipe, but it might not do a very good job as a stand-in. 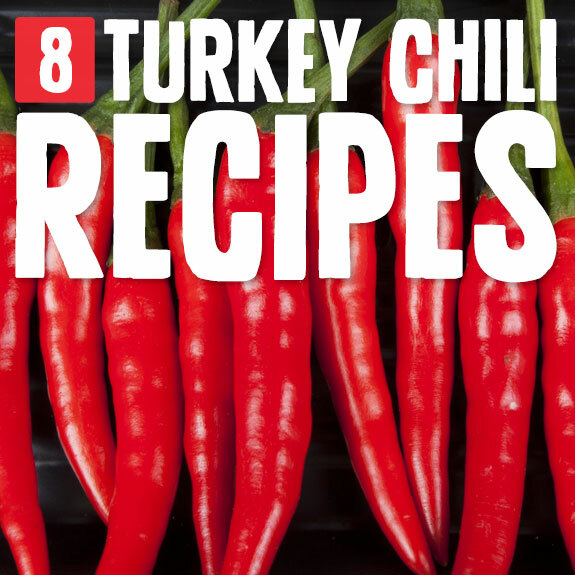 It’s best to think what will bring out the flavor of the turkey, and then construct the chili around it. 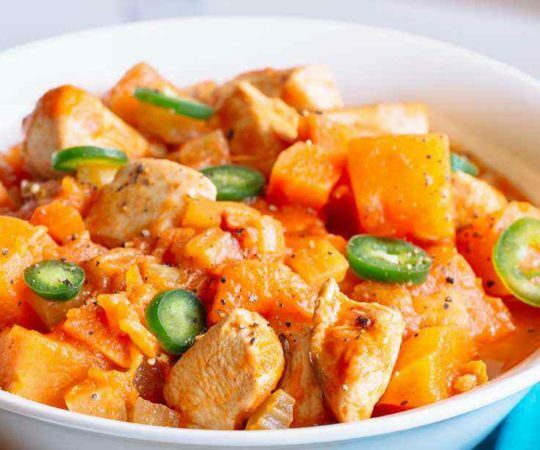 Here they do a good job of that, with cilantro, sweet potatoes, cumin, and paprika. 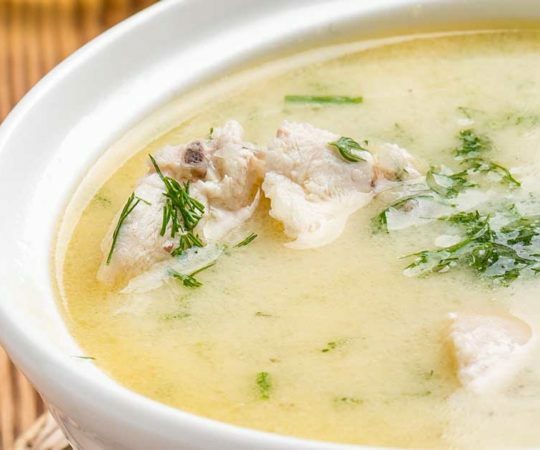 What to do with your leftover turkey? 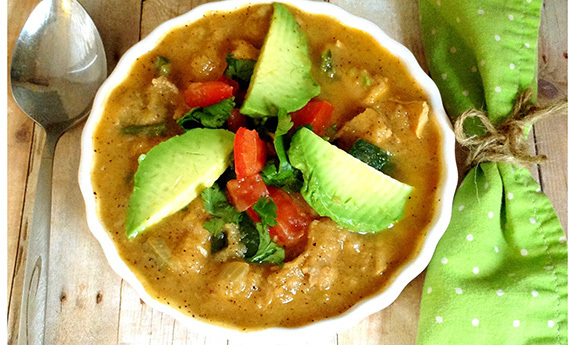 Make it into a delicious pumpkin chili. This is a great turkey chili recipe for the fall and especially for the holiday season when turkey gets the spotlight and pumpkins are to be found. The real beauty of this chili is how fast it can come together and be ready to eat, since many chilis take a long time to simmer and stew. For the pumpkin puree you’ll want to roast some fresh pumpkin and then puree it rather than going with canned pumpkin puree. The taste difference is very noticeable. 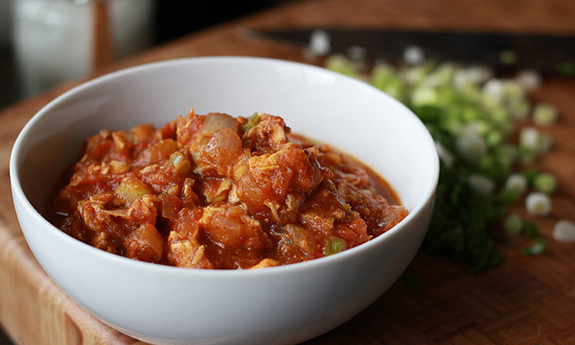 This turkey chili recipe is jam-packed with vegetables, including an entire head of cauliflower. 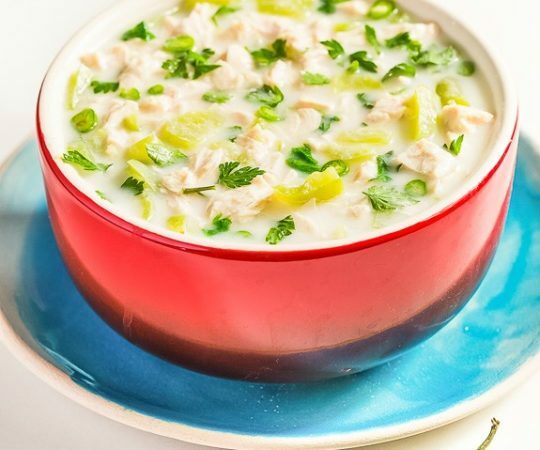 Cauliflower works great in recipes like this because it softens up so much and when it is blended it has a very creamy and smooth consistency, perfect for chili. 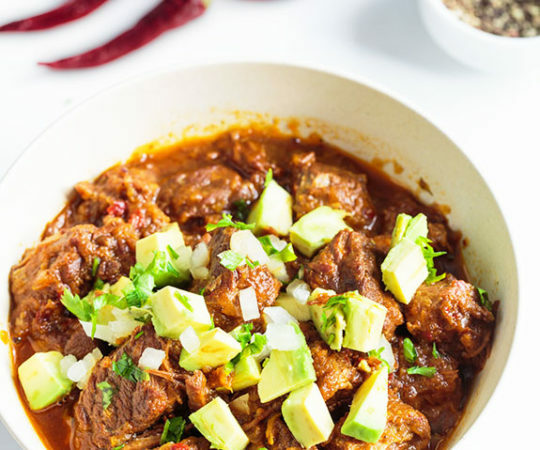 There’s also an onion in this chili, providing more flavor, and if you go with the avocado as a topper you’re going to be adding healthy fat and more fiber to the chili. Overall this is a solid turkey chili that has a ton of flavor and will hit the spot any night of the week. This turkey chili comes in three layers, with the bottom layer a sweet potato, the middle layer the chili, and the top layer a nice salsa. 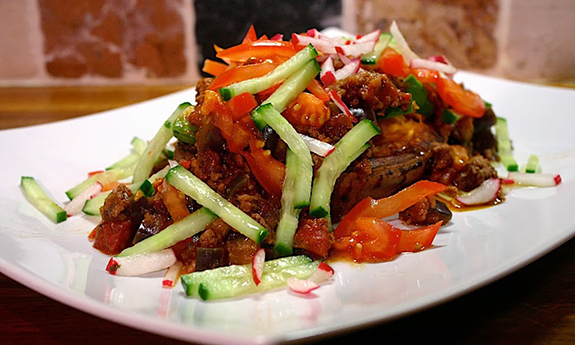 This gives you layers of flavor, as well as plenty of different textures and a unique presentation. You’ll also be getting fiber and antioxidants from the sweet potato. This is one chili that you’ll want to make again and again because it will leave you satisfied without making you feel stuffed or bloated after you eat it. Plenty of spices means this will be one chili you won’t soon forget. This chili has a split personality, as it can’t decide whether it wants to use turkey or chicken, so it just uses both. That’s OK, because it works and there’s some extra depth to the flavor that you just don’t get when you use one or the other. There’s also a good serving of vegetables here from the butternut squash, which is also adding vitamins, minerals, and fiber. 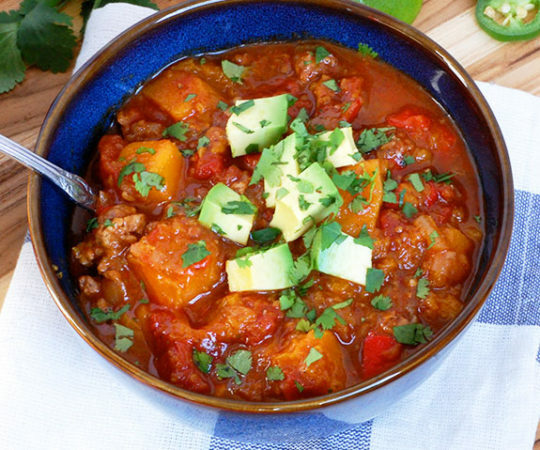 This is a simple chili, requiring only a few ingredients, but provides you with a complete Paleo meal, and is ready rather quickly. This Crock Pot chili lets you take it easy and do other things while it cooks for several hours. 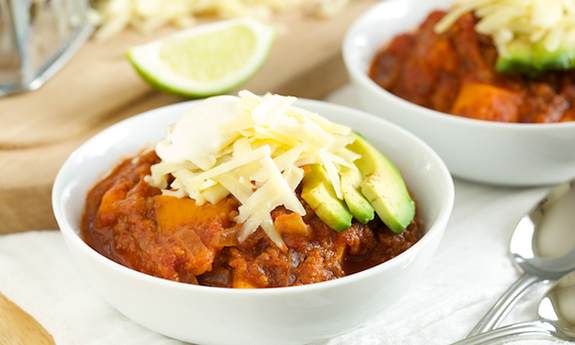 By forming the base of this chili from sweet potatoes you’re getting plenty of nutrition and a really nice texture. You won’t be short on meat though, because there’s a full pound of ground turkey, and this is where you have some quality control. You can go with dark meat or white meat, depending on your tastes and your goals. White meat will get you leaner ground turkey, while dark adds in more fat but many say it has more flavor too. This chili was originally created to help celebrate Cinco de Mayo, but it works just about any day of the year as well. One of the first things you’ll notice when you dive into this chili is the savory flavor of bacon. Turkey and bacon go very nicely together, just think of a club sandwich. In this chili you’re getting a full pound of ground turkey, plus a half pound of bacon, so there will be plenty of bacon flavor throughout. Tell your friends to come over and help you eat it, or save it all for yourself and feed off this chili for days as it serves 8-10.